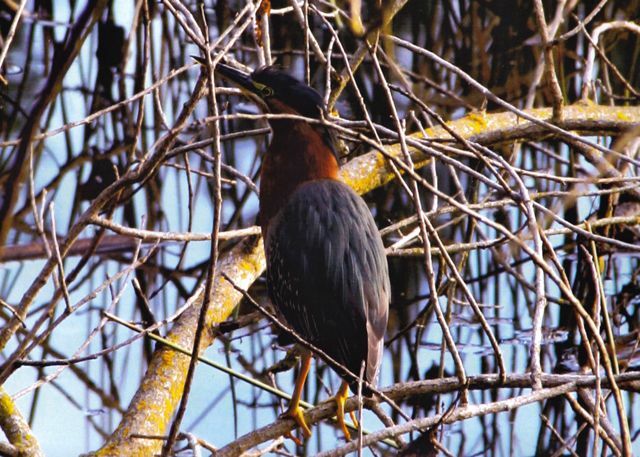 This Green Heron was photographed by Steve Hobbs at the Lafayette Reservoir. Now is a great time to get a 2012 Calendar featuring the Lafayette Reservoir and benefiting the Lafayette Chamber of Commerce. You can pick one up at Orchard Nursery. Learn more about Green Herons here. This entry was posted in Blog, Community Events, Outdoor Learning Center and tagged Birds.